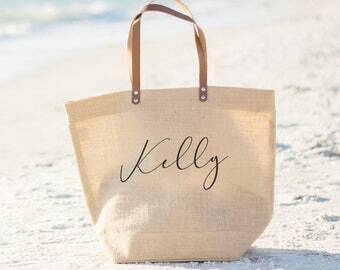 Our NEW canvas tote bags are personalized and made-to-order, using eco-friendly, water based inks that will never wear or fade! 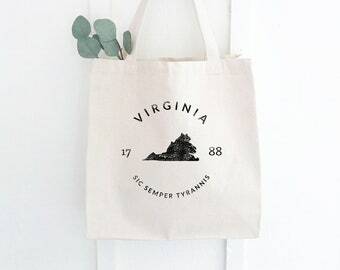 Want this in a different name than what's pictured here? Please just leave the name in the personalization section at checkout! 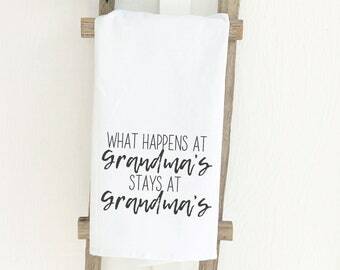 They are perfect for your everyday needs and make a very functional gift to welcome Grandma for a visit! All images and text copyright of Indigo Tangerine™ 2019. **For $5 we will wrap one item** For additional wrapped items please purchase our Gift Wrap listing found in the "Add Ons" section of our shop. Beautiful tote bag and super quick shipping! Nearly all our products are customizable per the details included in the listing description. Please scroll down to the middle of the description under the heading "Ordering Instructions" for item-specific instructions. Please note that there are not specific boxes at checkout asking for the exact personalization details. Rather, all information for personalization must be left in the "add a note" section, which is an option available at checkout. How quickly will my item ship? All bags, pillows, and signs include free first-class shipping (U.S. only). There is an option to upgrade to priority shipping at the customer's expense. For all other items, the buyer chooses their preferred USPS shipping method at checkout. See the add-ons section of our shop to have your order processed in 1-2 business days instead of the regular 3-5: http://etsy.me/2dXY6Pj. At checkout, you can choose whether to ship first class, priority, or express shipping via USPS. If you need it shipped out faster than the stated processing time, please reach out. Bridesmaids orders ship out in 2-3 business days. They include free, Priority USPS shipping (U.S only), 10% off our regular price, and arrive in 2-3 days once shipped (U.S. only). 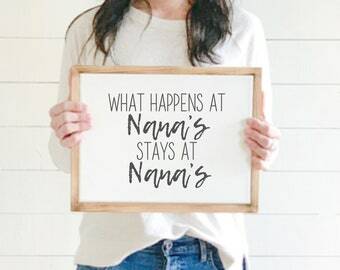 Please contact us with any questions--we love to accommodate our bridesmaids! We print each item ourselves using water-based, eco-friendly inks that will never fade or wear. We don't mass-produce, we don't outsource, and we don't cut any corners with our printing and personalization process. We source all of our products blank from various suppliers both locally and abroad and go to extensive lengths to ensure that the products we source use responsible labor practices. Please see below for more details. All of our bags and pillows manufactured specifically for Indigo Tangerine using fair trade labor. They are fair trade certified and organic! Are these designs made with vinyl decals? No! We print all our products in our cottage workshop using water-based inks that will never fade, wear off, or peel. May I cancel or return my items? 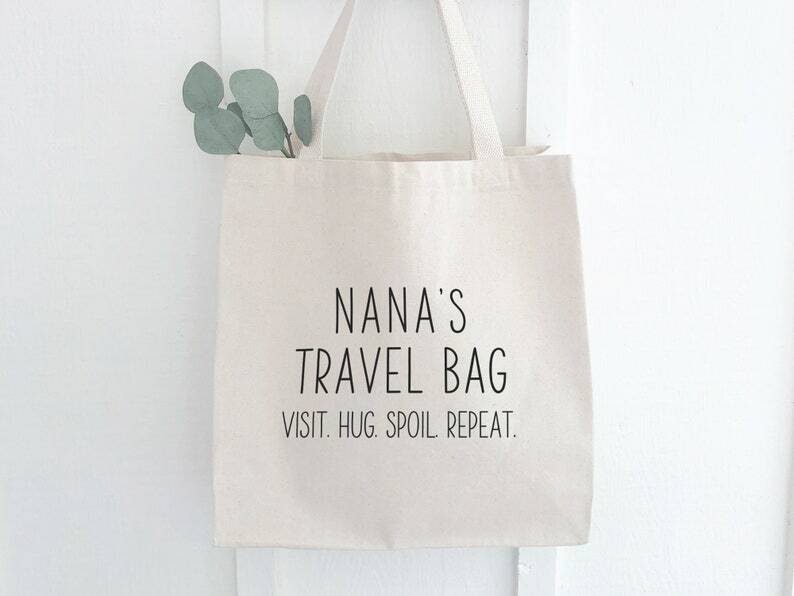 All of our bags come with a no-hassle return policy. You may return them for any reason within 30 days using the included postage-paid shipping label for a refund of the purchase price. For all other items, if you feel we've misrepresented the item, it is defective, or the personalization is incorrect, please contact us regarding returns, exchanges, and/or replacements. Follow us @indigotangerineshop for frequent flash sales, exclusive instagram coupon codes, and giveaways. Yes, please find our online wholesale site at https://indigotangerine.indigofair.com. Once you register for an account there, you will be able to view our wholesale linesheet AND receive $50 off your first order! Cute Canvas Tote Bag for Knitting Supplies, Have Yarn, Will Travel Quote. Roomy Durable Project Bag for Craft Storage.